Set on the banks of the Murray River, Mildura is home to a new international project which aims to protect and promote the dialects of Southern Italy. The online course is organised by Elena Callipari Nemtsas and Steven Sacco, who will teach the dialects through YouTube videos to people with Italian background across the globe. The idea stemmed from a realisation that dialects spoken throughout the South are slowly dying out in the regions they come from and, especially, among Italian communities in countries such as Australia, the US, Argentina and Germany. The conversations that will feature in the course will draw on everyday life situations and topics that would come up “around the kitchen table”. They’ll be accompanied by online exercises focusing on vocabulary and grammar. “It was very important to us to create an authentic program, not based on teaching a language with sentences, like all the current commercial programs available online,” Sacco explains. Born into an Italian family in Chicago, Sacco is Professor Emeritus of French and Italian at San Diego State University. Having retired in 2014, he decided to specialise in the development of tailor-made language courses for private agencies and for the US government, including courses in Arabic, Farsi and Pashto for US soldiers sent to the Middle East. Last April, Sacco met Callipari Nemtsas, vice-secretary of the Dante Alighieri Society in Mildura, during the ‘Diaspore Italiane’ conference hosted by CO.AS.IT. in Melbourne. Since then, the duo has been working together on the project. Callipari Nemtsas’ father, Bruno Callipari, features in the first videos of the course. Callipari migrated from Calabria to Australia in 1951, and now lives in Mildura. “Mildura is a special city because it’s home to many people who still speak different Southern Italian dialects, from Sicily to Calabria,” Sacco says. While Callipari Nemtsas’ family hail from Natile, in the province of Reggio Calabria, Sacco’s come from Miglierina, in the province of Catanzaro. There are some differences between the dialects of both areas and the course doesn’t ignore such differences; instead, it seeks to highlight them and the particular place from which guest speakers in the videos come from. 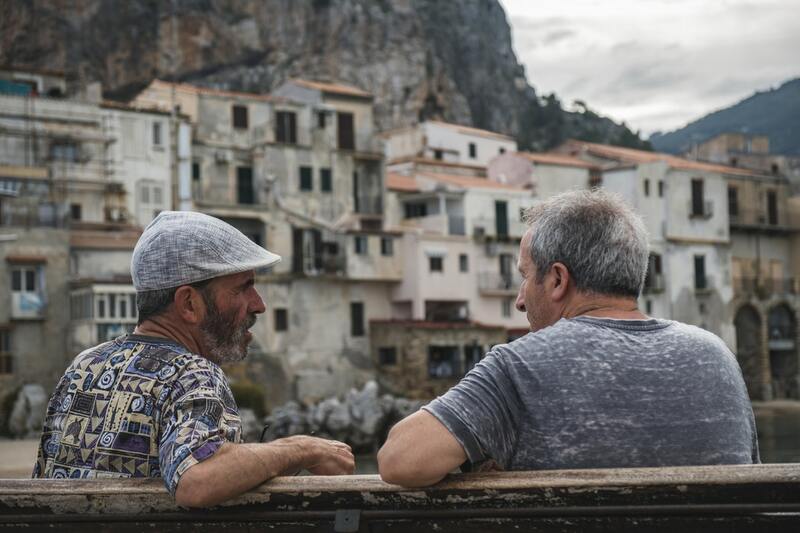 “Within Calabria itself, there are many different dialects and they have changed even more abroad, depending on where Calabrians migrate to,” Sacco explains. “We don’t want to send the message that the Calabrian dialect in Mildura is the only one that exists; we want to show the differences and allow participants to share their own variation of the dialect. Despite the fusion between dialect, Italian, English and other languages present in the places people migrate to, the course encourages participants to speak only the dialect in the videos. The videos will have subtitles in English, Spanish and German, making them accessible to descendents of Italian migrants all over the world. “I will be the first student of our online course,” Sacco says with regret, adding that at 66 years of age, he still doesn’t speak his grandparents’ dialect. “I became a professor of French because they didn’t offer Italian courses at my school or university,” he says. When Sacco was 48 years old, his university sent him to Florence to learn Italian so that he could then teach the language. “My aim is to learn Calabrian,” he declares. Learning a language for which no textbook exists, however, is a difficult task. This is why the project requires the help and cooperation of Italian communities across the world to ensure these dialects don’t become extinct. Sacco and Callipari Nemtsas are working to complete the first lesson of the course by the next ‘Diaspore Italiane’ conference, to be held in Genoa in June. If you’d like to participate and share your dialect, send an email to sositaliandialects@gmail.com. For more information, visit the Save Our Southern Italian Dialects Facebook page. This story appeared in the Thursday January 10, 2019 edition of Il Globo. We decided to begin with the Calabrian dialect because both Elena and I have Calabrian heritage.